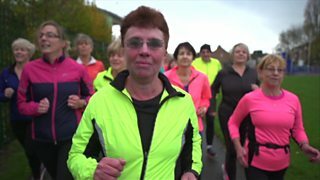 Denise Larrad has been named the BBC Get Inspired Unsung Hero for the East Midlands. "When I was chosen to carry the Olympic torch," says the 55-year-old mother of two, "I made it my mission to get the people of Hinckley moving more." Despite working night shifts in a warehouse she still finds time to help run walking, orienteering, running and general fitness classes. Visit our special guide for how to get into volunteering.